The search for the Extreme Customer Service® Champion™ for the second quarter of 2010 is underway. 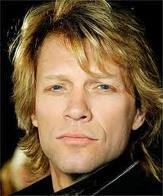 What was Jon Bon Jovi's real name? Dave correctly identified the number of men that actually walked on the moon as 12! Enjoy your Dunkin Donuts gift card! Derek and IBP in the Winner's Circle three weeks in a row. We are announcing our first referral program. I don't know about you, but I have so much that I want to accomplish but there just aren't enough hours in the day. Sure, there are lots more hours that I could work but it's important to keep some balance in my life. After all, that's why I created IBP in the first place. There are still books to write, programs to develop and businesses to help! I remember when my employees and managers would express their frustration because there was so much more they wanted to accomplish. I would always tell them to take a snapshot from a year ago, two years ago or five years ago and list everything they had accomplished during that period of time. Each time it would be amazing how long their lists would be and to see how much they had actually accomplished. If I take my own advice and look back, I can't believe that today marks the third anniversary of Innovative Business Partners, Inc. As I take a snapshot of the last thirty six months, I am amazed at everything that has been accomplished and how much we have given back to the community. The list of workshops and seminars we have created and offer is very substantial. Our collections of case studies and testimonials are something to be proud of. If I think of the business owners and executives I have coached through challenging issues, it is very rewarding. However, if it weren't for YOU, these accomplishments would not have been possible. Most of our clients have come from personal referrals or references. I might have had the concepts for IBP, but you have helped to make it a reality! After much thought, we are putting in place a referral plan for those people who want to help us continue to grow. Starting June 1, 2010, if you refer us to a company and that company becomes an IBP client, we will donate 10% of the revenue from that client to a charity of your choice in your name. Sales and Marketing - "Plan it like a Wedding"
Your daughter has just announced that she is getting married. Over the next year, there will be weeks, if not months, of research and planning to take place. The perfect venue for the reception must be found, the wedding gown must be selected as well as the bridal party's gowns. Hours will be spent working on the invitation list and the seating arrangements. How long will it take to find the right caterer and band? 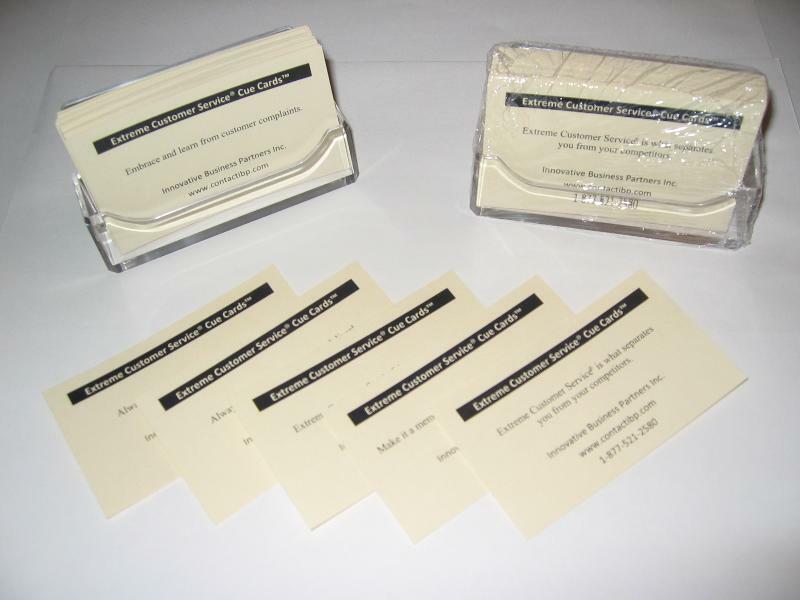 Of course you need the perfect invitations for your guests and gifts for the wedding party. The meal has to be planned and the day's activities choreographed like the crowning of a king or queen. Will she drive off in a horse and buggy, a limo or vintage automobile? So many decisions need to be made in such a short period of time! You forgot about the honeymoon and who is going to help you with the budget. You finally realize that this is not your area of expertise and decide to bring in an expert, a wedding planner. Think about how much time, money, research and planning go into this five hour event. That is right; this is only a five hour event. When it comes to your sales and marketing plan, how much time and research do you invest? Your sales and marketing plan will drive your business for the next year; 365 days! Most people have clear revenue goals, but spend little or no time creating a well thought out sales and marketing plan. The year passes and people are shocked because they did not reach their revenue goals. I wonder why? Did they take the time to do the research or did they consider an outside expert to assist them with the plan? I will once again quote Dr. Demming, it is 90% planning and 10% implementation. The next time you are considering your sales and marketing plan, "Plan It Like a Wedding!" I have been writing a series of articles for end-users on selecting and negotiating with electronic security integrators. In this issue I would like to share a case study plus extend to you an offer. I was asked to select an electronic security integrator in Geel, Belgium for a client. Step #1: Since there was a requirement for the equipment to be Honeywell, I contacted Honeywell and requested a list of their certified dealers in Europe. Step #2: I contacted the owners of these companies via phone and had a brief conversation about the process. Step #3: I then e-mailed each owner an integrator pre-qualification form to be filled out and returned within 5 business days. Step #4: Based on the surveys, I then narrowed the field to three integrators that I wanted to consider. Step #5: I then e-mailed a brief survey to the customer references that they provided me. E-mails are much easier than playing telephone tag with references. It also allows them to answer the surveys when it is convenient for them. In this case where I was dealing with Europe, it was much easier because of the language barriers and time difference. Step #6: I then selected the integrator that I want to work with; however, I set up a phone call with one of the references that had returned the survey about the company. I just wanted to clarify a few questions. Step #7: It was time to contact the integrator I wanted to recommend, so that I could clearly communicate both my expectations and those of my client regarding this project. Step #8: I contacted my client and informed them of the integrator in Belgium that I wanted to recommend. The project went extremely well. Since then the client has asked me to look at another project in a different part of Europe. If you would like a copy of my "Pre-Qualification Checklist at no charge, e-mail me below. Listen to Your Customers - Jump in Your Car! What do you do when you receive a customer complaint? Maybe the customer leaves you a voice mail, so you immediately call your sales or operation staff to try and determine the problem before you call the customer back. Maybe you talk to the customer on the phone and then approach your team to find out what happened. I often witness companies spending their time trying the build a case to show that they were right and the customer was wrong, even when it was clear that they were not right. It is amazing how far some people will go to defend and make excuses. Once their response is ready they often send an email to their customer. Sometimes they will call the customer back, but the e-mail is much less confrontational and besides it creates a paper trail doesn't it? Here is an actual situation I ran into when I was a security integrator. A customer named Sally, with whom I had not met, called into the company and complained to operations about something that we had done wrong. Sally was irate and angry. As always, the complaint was brought to my attention. After several conversations with the Sally, it was clear that it was our mistake. We did not spend a second of time or a single breath on how we could defend our actions. We accepted blame and focused on what we were going to do to correct the problem. Sally had called late in the day and had been told that we would get back to her in the morning. The next morning I drove to the Sally's site and entered the reception area. As I approached Joan the receptionist, I knew this would not be easy. Although I had Sally's boss Jim, I had never met Sally and did not have an appointment. I didn't even know if she was going to be in her office that day. I explained my situation to the Joan and she told me that Sally did not come in until 9am or 9:30am and it was currently 8am. So I decided to wait in the lobby. Around 9:15am Sally walked through the door and Joan pointed me out. Sally looked at me and I could feel the chill in the air. She came over and said that she did not know if she would have time to see me today. I said that would be ok, because I would just wait in the lobby with hope that she could find 15 minutes or so. She looked at me and said she would be back in about 20 minutes. Finally Sally emerged from the elevator and asked me to follow her back to her office. I explained who I was, apologized and explained what we were doing to correct the situation. She seemed ok with the response and asked if I wanted to head to the cafeteria for some coffee since she hadn't had hers yet. I guess I interrupted her routine. We sat in the café and chatted for a while. She had warmed up and told me that she could not believe that the President (me) of the company took the time to drive to her office and wait in the lobby for her. She told me about her responsibilities and I told her many things about my company that she did not know. She actually asked me to have someone contact her about some additional work that she wanted to get done. I gave her my business card and told Sally that if she ever needed anything in the future, to please call me directly. I left there with a happy customer, additional work and a new friend. The next time you have an unhappy customer jump in your car or get on a plane, it will show them you care and it will make a difference.